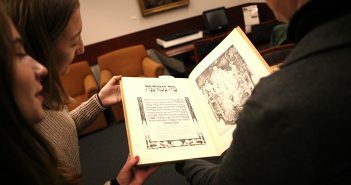 Photos by Jill LeVine. First photo, left to right: Sunny Hostin, Marricka Scott-McFadden, Nathalia Fernandez, Ruben Diaz Jr., Alessandra Biaggi, and Karines Reyes. 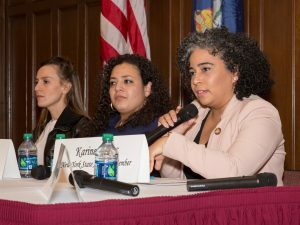 Three New York legislators and an Emmy Award-winning journalist spoke about the past, present, and future of women in the Bronx at a Women’s History Month panel discussion at Fordham on March 21. The event, hosted by the Bronx Borough President’s Office, featured five women from different walks of life: Alessandra Biaggi, LAW ’12, New York state senator; Nathalia Fernandez, assemblywoman for the 80th District; Karines Reyes, assemblywoman for the 87th District; Sunny Hostin, ABC News senior legal correspondent and co-host of The View who moderated the panel discussion; and Deputy Bronx Borough President Marricka Scott-McFadden, who served as emcee of the night. What they all have in common are their ties to the Bronx. Hostin was born and bred in the South Bronx. Biaggi, whose senatorial district includes portions of the Bronx, is the granddaughter of Italian immigrants who lived in Hunts Point. Fernandez’s father and mother immigrated to the Bronx from their native Cuba and Columbia, respectively. And although Reyes and Scott-McFadden aren’t Bronx natives, they have made the borough their home. “I am originally from Georgia. I wasn’t lucky enough to be born in the Bronx,” Scott-McFadden said to laughter from the audience. The panel spoke about the need for women legislators who can vouch for the importance of women’s reproductive health, universal childcare, and reducing maternal mortality in New York state. Karines Reyes addresses the audience. Another issue that women face is a lack of childcare, said Biaggi. Although today’s U.S. mothers are spending more time in the workforce than in the ’60s, they’re also spending more time on childcare. “What we would like to see—and this is why our voices are so important and why it’s so important that we’re in the room—is childcare everywhere,” Biaggi said. “When you have children, they don’t disappear just because you’ve gone to work.” A few women in the audience expressed their agreement. The panelists also discussed a disturbing trend affecting mothers in New York state—the rising rate of deaths in the delivery room. The rate of maternal deaths in the state rose from 13.2 per 100,000 live births in 2006 to 25 per 100,000 live births in 2015. The five women also discussed the gender pay gap in the U.S. On average, female workers earned around 80 cents for every dollar a man made in 2018. 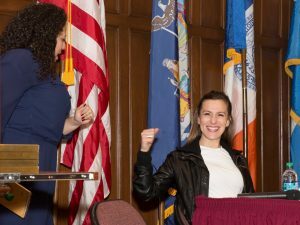 Alessandra Biaggi gives a fist-bump to Nathalia Fernandez. Then her cell phone buzzed. It was Sherri Shepherd, a previous co-host on The View. Shepherd revealed to Hostin her personal pay history from a decade ago. It turned out, said Hostin, that Shepherd was offered more money than her successor. It was a lesson Fernandez could relate to. She remembered working in a team where she was the only woman. Two months into the job, she discovered she was making less than all her male colleagues. She was told she was paid less because she was a new employee. But eventually, she said, she received a pay raise to match the men’s salaries. Speak up when you see discrepancies, Fernandez said—be brave enough to demand your worth. At the end of the night, Bronx Borough President Ruben Diaz Jr. presented each panelist with a citation of merit and thanked them for their service to the Bronx community. He asked the audience to give a round of applause for the women who work with him every day. And, in a candid speech, he spoke about the women who have shaped him into who he is today. 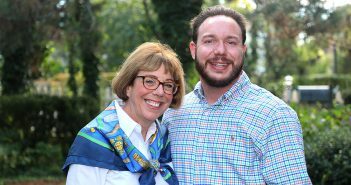 Diaz Jr. grew up in a maternal community of abuelitas and mothers in the Bronx, whom he called “the force of the household.” Eventually, he met a woman who became his wife, Hilda Gerena Diaz—the person who became the family breadwinner while he ran for office. 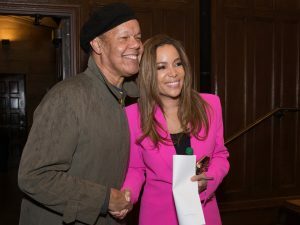 Sunny Hostin shakes hands with a guest. “Even though I lost that first race, she’s the one who paid the bills in our house,” he said to thunderous applause and whistles from the crowd. He added that the Bronx—home to more women than men—is also the birthplace of women like Jennifer Lopez, Grammy Award-winning rapper Cardi B, and U.S. Supreme Court Justice Sonia Sotomayor.